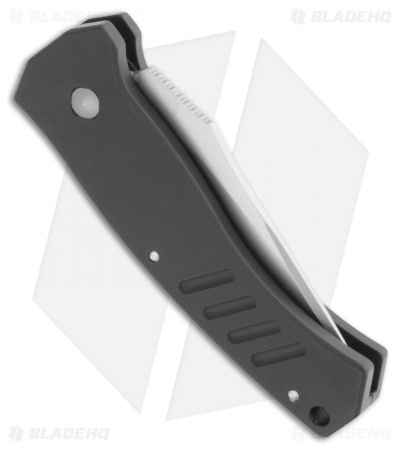 Randall King's automatic Micro Striker is a very cool little California legal knife. The S30V blade is bead-blast finished and laser etched with "MICRO STRIKER, MADE IN THE USA, CPM-S30V." The blade comes razor sharp, fires with a nice snap and locks securely into place. 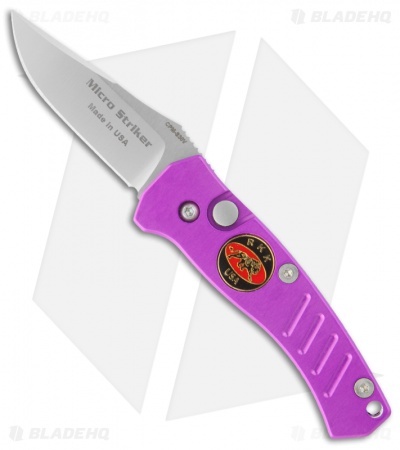 The knife body is anodized PLUM 6061-T6 aluminum. Although small, it’s got a good feel and we're impressed with the overall quality.